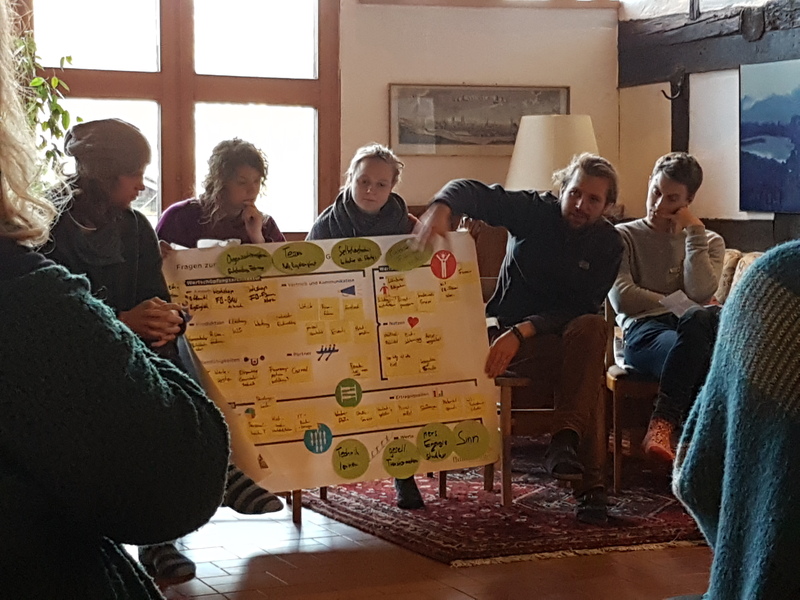 After the kick-off workshop in Bonn the project partners already in Germany took the opportunity and got together for a pre-kick-off meeting in Hitzacker and Pisselberg during which the YEEES strategy, with focus on the connection of research and teaching, was elaborated. Prof. Dr. Uranio Mahanjane (UPM), Prof. Dr. Jean Greyling (NMMU) and Luise Greyling (RLabs), from the African side, and Prof. Dr. Jantje Halberstadt (Leuphana) and Prof. Dr. Jorge Marx Gómez (CVOU) from the German side, attended the pre- kick-off. During two days the team took part at the SCHub Camp. The Camp, offered by the Leuphana Social Change Hub (SCHub), is a weekend workshop especially designed to support students’ voluntary work. Student initiatives can apply to participate and they get selected by the university public through an open vote. This format will be the basis for the YEEES Sustainability Camps taking place in each of the partner universities, focusing on the development of entrepreneurial approaches for resilient cities and peri-urban area development.